Below you fill find all funeral homes and cemeteries in or near Denville. Popular neighborhoods in Denville include: Union Hill, and Morris County. Denville is also known as: "Hub of Morris County". Their current mayor is Mayor Donna I. Costello. Zip codes in the city: 07834. Some of the notable people born here have been: Ashley Rose Orr (actor and voice actor), Shea Morenz (american football player), Lisa Rieffel (singer and actor), Russ Flanagan (journalist), Kevin Walker (american football player), Brian Tichy (musician and drummer), and Frank Santoroski (actor). Denville Township is a township in Morris County, New Jersey, United States. As of the 2010 United States Census, the township's population was 16,635, reflecting an increase of 811 (+5.1%) from the 15,824 counted in the 2000 Census, which had in turn increased by 2,012 (+14.6%) from the 13,812 counted in the 1990 Census.Denville is known as the "Hub of Morris County" for its location along major transportation routes at the center of the county. In 1988, as part of the town's 75th anniversary celebration, a time capsule was buried that contained "artifacts" from that era.Denville was formed as a township by an Act of the New Jersey Legislature on April 14, 1913, from portions of Rockaway Township. It was written by The Villages Daily Sun on April 8th, 2018 that Paul Joseph "Taun" Prester passed on in The Villages, Florida. Prester was 88 years old and was born in Denville, NJ. Send flowers to express your sympathy and honor Paul Joseph "Taun"'s life. It was noted on October 15th, 2017 that Mary Eugenia "Genie" Sellers (Montgomery) passed away in Denville, New Jersey. Ms. Sellers was 78 years old and was born in Lumberton, NC. Send flowers to share your condolences and honor Mary Eugenia "Genie"'s life. It was reported by The Daily Herald on September 26th, 2017 that Alisa Marlene Chinlund (Gold) passed away in Park Ridge, Illinois. Ms. Chinlund was 55 years old and was born in Denville, NJ. Send flowers to express your sorrow and honor Alisa Marlene's life. It was revealed on August 15th, 2016 that Kristoffer Allen Passmore passed away in Tampa, Florida. Passmore was 41 years old and was born in Denville, NJ. Send flowers to share your condolences and honor Kristoffer Allen's life. It was revealed on July 31st, 2016 that Dorothy Kenworthy (Latshaw) perished in Meriden, Connecticut. Ms. Kenworthy was 99 years old and was born in Denville, NJ. Send flowers to share your condolences and honor Dorothy's life. It was reported by Hazleton Standard-Speaker on February 11th, 2016 that Steven A Mills passed away in Hazleton, Pennsylvania. Mills was 48 years old and was born in Denville, NJ. Send flowers to share your condolences and honor Steven A's life. It was disclosed on February 1st, 2016 that Anna Liisa miss Saarinen passed on in Denville, New Jersey. Saarinen was 92 years old and was born in Myrskyla, . Send flowers to share your condolences and honor Anna Liisa miss's life. It was noted by Norwich Bulletin on May 7th, 2014 that Raymond Francis Jr Hocking passed away in Norwich, Connecticut. Hocking was 70 years old and was born in Denville, NJ. Send flowers to share your condolences and honor Raymond Francis Jr's life. It was noted on November 28th, 2012 that Norma Vlahides (Vroom) passed away in Denville, New Jersey. Ms. Vlahides was 75 years old. Send flowers to express your sorrow and honor Norma's life. It was revealed by Sarasota Herald-Tribune on November 18th, 2012 that Kimberly Ann Stanton Rosser passed away in Venice, Florida. Rosser was 46 years old and was born in Denville, NJ. Send flowers to express your sympathy and honor Kimberly Ann Stanton's life. Ninkey and Franklin in southern Denville developed around the forges there of the same names. 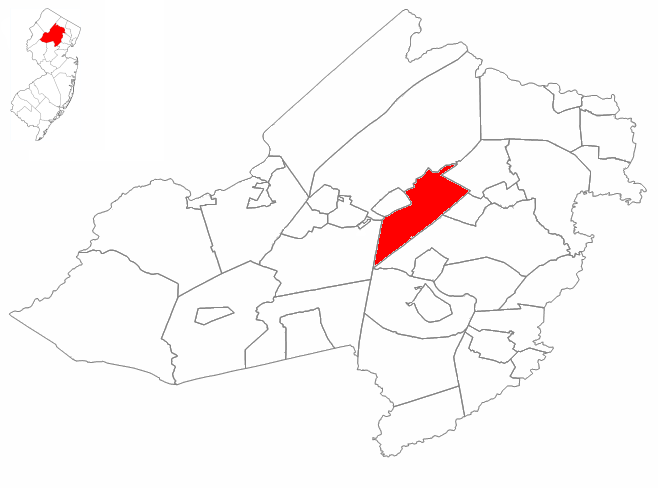 As of the United States 2000 Census, the township population was 15,824. In 1670, he wrote the first English language description of the area. Between 1730 and 1760, several forges and mills were erected in Denville along the Rockaway River and the Denbrook. Hinchman explains in his letter that the naming of Denville can be traced to a "den" of wild animals located in the swampy regions along the Denbrook and Rockaway River. The official website for the city of Denville is http://www.thedenvillehub.com/. Listing all funeral homes in Denville, New Jersey so you can easily send flowers to any location (same day delivery) or find any funeral service. We work with local florists and flower shops to offer same day delivery. You will find budget sympathy flowers in Denville here. Our funeral flowers are cheap in price but not in value.